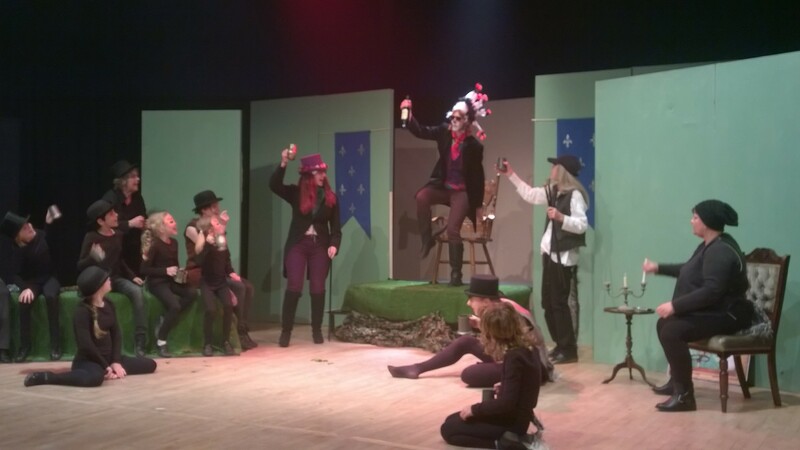 After an exhausting few days for the Cast and Crew, Toad of Toad hall comes to a close. The scenery and props are back in the store and costumes are being cleaned before joining them. A huge thanks to everyone who helped put this together, whether it was helping out with Front of House, painting a couple of flats on a Saturday morning, or getting up early and staying out late to help lifting, shifting etc. There are some wonderful shots out there on the interweb of the set and players and some links are below. Secondly, there’s Marion Cox’s review published on their website. On the whole a good review, but she felt that the play was let down by the length and didn’t like Toad. It is worth noting that the version that was printed in the paper had some of the better points edited out and they applied an unsuitably negative headline. An edit that Mrs Cox herself was not happy with. This may well have put the opportunist Punter from coming out on the Saturday night. And last, and showing that different reviewers can see different perspectives, there’s Anita Harris’s review featured in her Durnovaria diaries. See below. Wow!! 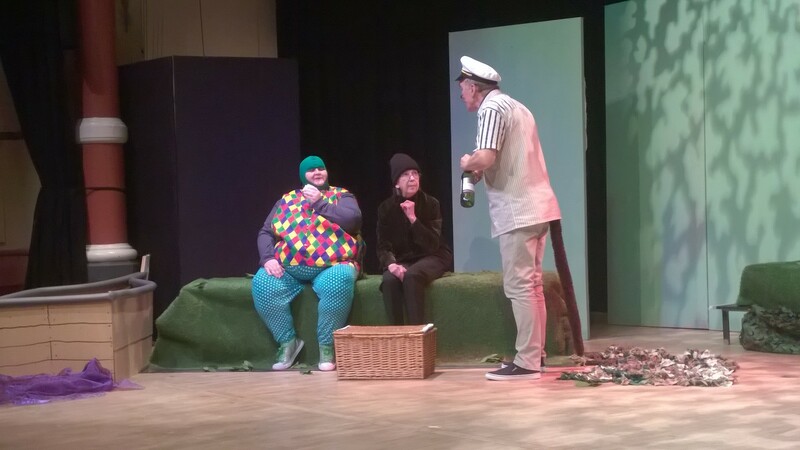 Once again Dorchester Drama Club surpass themselves with their latest production, Toad of Toad Hall, the stage adaptation of one of my childhood favourites, Wind in the Willows. This had everything – music, song, dance, comedy and great acting. 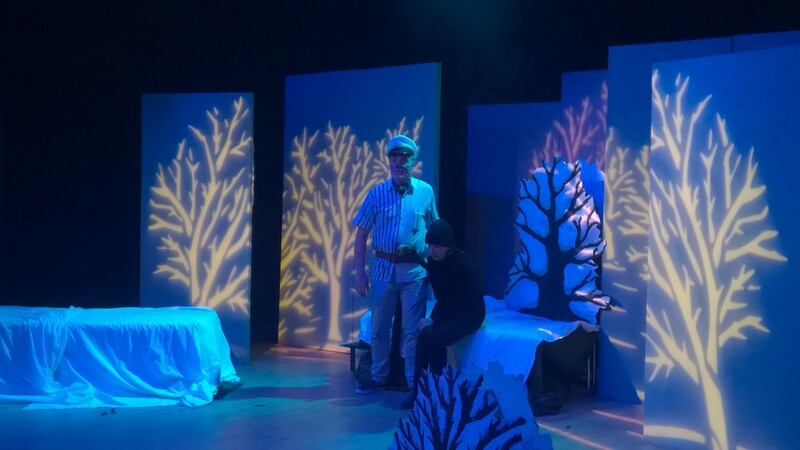 The props were simple but incredibly effective, clever use of smoke and lighting created wonderfully atmospheric settings, and the enthusiasm of the children taking part blended beautifully with the more experienced adults. 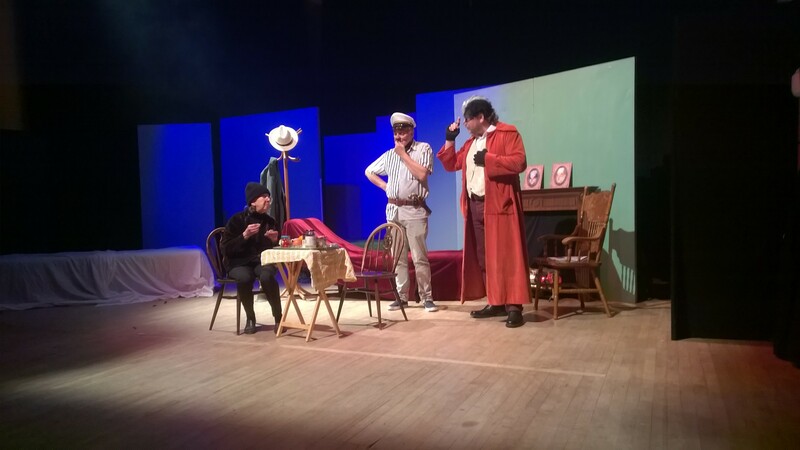 And we were so smoothly transported from riverbank to court house, dungeon and finally the banqueting room at Toad Hall, the homes of Badger and Ratty adding to the mix to bring the story to life in a way even the youngest audience member could understand and appreciate. The Corn Exchange, for just a few hours, became the countryside as the tale of Toad, Badger, Mole and Ratty unfolded and drew you in. Oh yes, I loved Toad of Toad Hall. 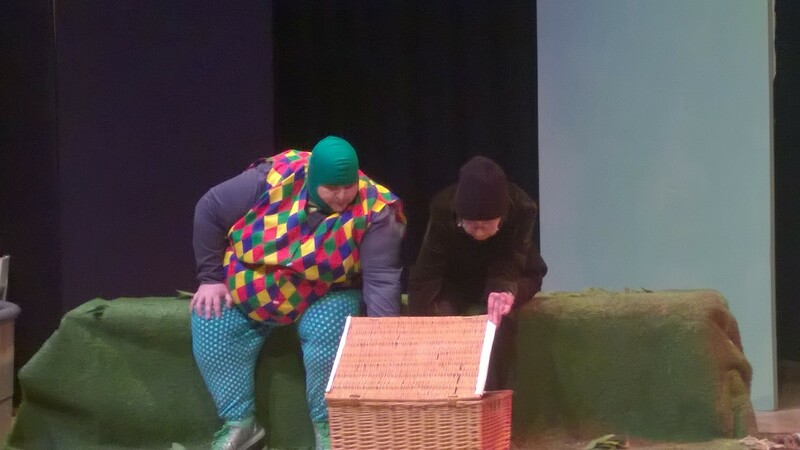 As ever, the stage presence of Lee Stroud (Toad) was as amazing as ever, a Toad as good a one as you will find anywhere. Michael Staddon was an imposing Badger, Ann Ottaway delightful as the somewhat timid Mole, and Ian Farley made the role of Ratty his own. They bounced off one another perfectly, the humour at times subtle but never lost on those watching. I loved Fran Sansom as the Chief Weasel, so sinister, so menacing, as was the brilliantly lit scene in the Wild Wood. Loved the Down with Toad song, performed so well by young and not so young amidst a plethora of red light and swirling smoke. What an incredible touch. So many great performances. So good to see the hilarious Sue Worth and Lee Stroud pairing up to bring one of the most comical interludes of the whole show. Timing was great ……. And they are so funny when in full flow. There wasn’t one moment in Toad of Toad Hall that I didn’t enjoy. The whole performance had me transfixed, from the delightful ducklings, ably led by Mother Duck (Dee Thorne), to the chaos of the courtroom and the banishing of the weasels from Toad Hall. 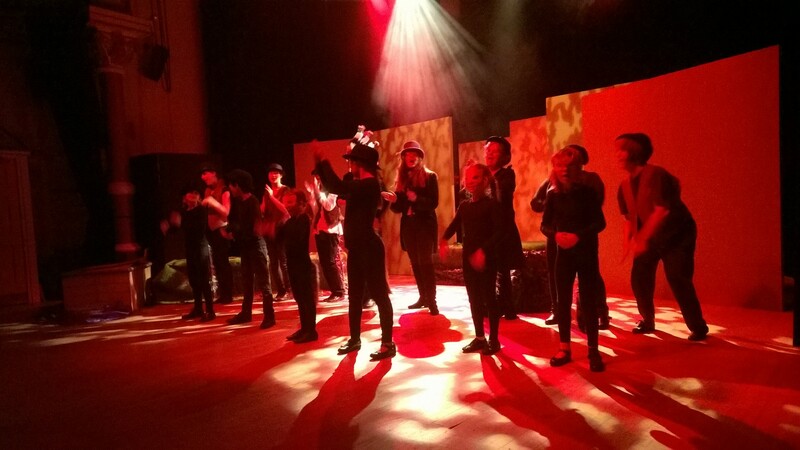 Everyone who had a hand in this production, from the actors and producers to the stage crew, choreographers and costumiers deserves a round of applause and heartfelt thanks for creating such an enjoyable evening. 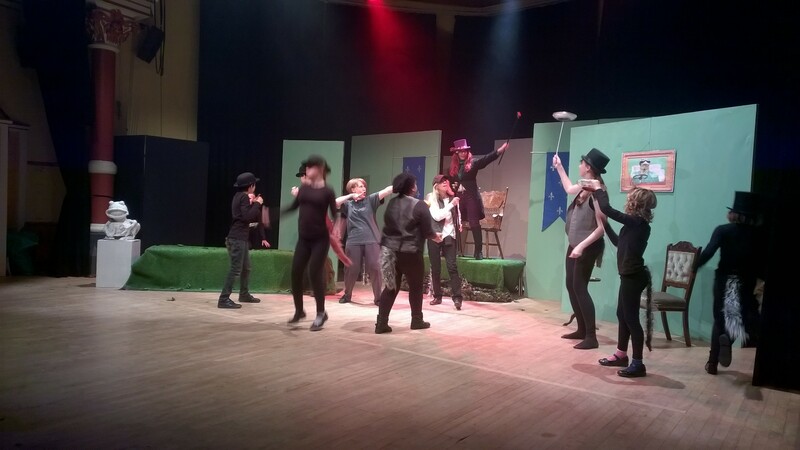 I love being transported back to my childhood, a double delight when taken there by the talented Dorchester Drama Club. Thank you …….. and I am waiting with bated breath for your next offering. Make it soon, but please recover from this one first. Poop, poop, as Mr Toad would say!! Copyright © 2015 Durnovaria Diaries, All rights reserved. We open tonight, Show starting at 7pm. We still have some tickets available on the door, so if you’re free, we’d love to see you. Here are some pics from the dress rehearsal. Rehearsals are needing bigger spaces as we’re running the full play, so we’ve got the chance to mock up the set dimensions. This gives the Actors a feel for the space they will be performing in. It also gives the Techies a chance to try to spot problems before the Tech rehearsal. Last night we spent some time putting together the fight scene. Here’s a little taster. The Children (& Dee) have been practising some dance routines as well. The children have a variety of different roles, here, they’re ducks dabbling. Publicity is out there, please spread the word around as much as possible and come to see the play. Watch out for some of the cast members handing out leaflets in town on Saturdays in costume as well. All help welcome.